This past winter, I took a fun environment design class at Gnomon with Jason Louie (http://jlouiedesign.blogspot.com/) and had an assignment to practice environments using a photo-bashing technique to start, though obviously this has subsequently been painted over a lot. I was kind of skeptical and without direction at first, but this piece especially just snapped in place for me and had a lot of happy accidents. 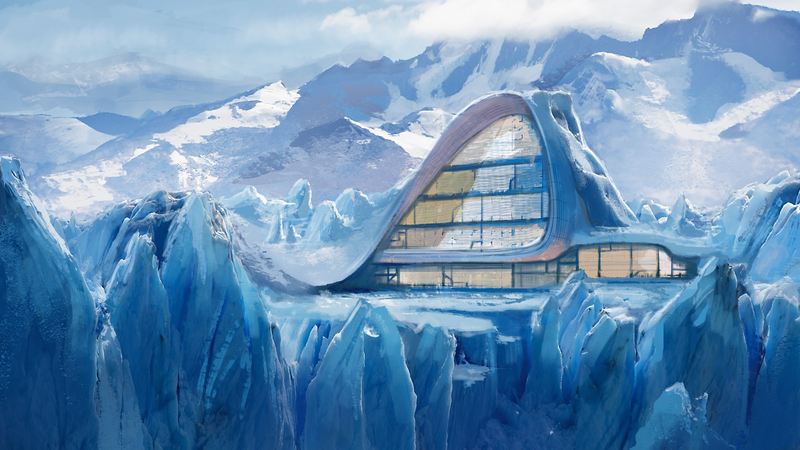 My only real reservation is it wasn’t created with a lot of story in mind from the onset, but I think once it was finished it and some ice-climbing characters added that has an okay potential for some creative imagining….